Hi everyone, it's been awhile...but here's a comeback with a bang! 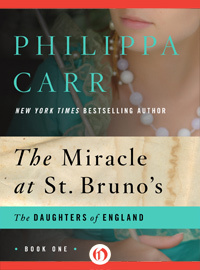 Last week, Open Road Integrated Media, released the first 10 books of Philippa Carr- also known as best-selling author, Jean Plaidy, Victoria Holt- 'Daughters of England' series. The first book of the series is 'Miracle at St. Bruno's. 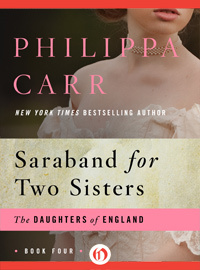 Today, the rest of this magnificent collection is being released- featuring: Saraband for Two Sisters! Jean Plaidy collectors cannot pass up this fantastic new release! Which Plaidy are you reading? Ahh... those Borgias-Everywhere you read about them, it’s one scandal after another. As for Lucrezia, she’s dumped right in that whole mess. But seriously, how much of that was actually true? How easy is it to believe that Lucrezia really was a devious, incestuous, poisonous murderess? But if you expect to read any of that in Light on Lucrezia, you will be disappointed. Or-should I say; like in my case, delightfully surprised. Perhaps Lucrezia will appear differently in Madonna of the Seven Hills (hoping to read this one very soon too)- but not in Light on Lucrezia. 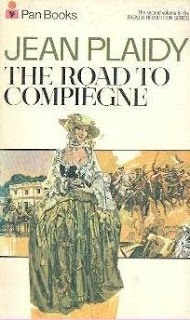 In this novel, Lucrezia is, yes, a devoted Borgia first; meaning she thinks the world of both her father, Pope Alexander, and Cesare, her brother; However, Lucrezia is determined to live a different life from the debauche family she grew up in. She does want to be happily married. She wants children and is devastated when they are taken from her. She was defintely the Borgia pawn. This is an excellent novel and a great introduction to the Borgias through the life (albeit condensed) of Lucrezia. I especially appreciated Jean Plaidy’s Author’s Note at the beginning of the book where Plaidy specifically says she wrote this book to shed light on all the controversy surrounding Lucrezia. She also lists the works she used for her research; something I’ve not yet encountered in her other novels. Being a great fan of Plaidy, I loved reading this introduction where I felt that Plaidy personalized this particular book by this time presenting it not only through historical fiction, but by actually taking a stand in her perception of the history. Can’t wait to read more about Lucrezia! If you haven't seen it yet, Royal-Intrigue.net (our main website) has been completely revamped! We've also made a Facebook Fan Page and have a Twitter account. Please join! First to respond gets first choice! Please send an email to Arleigh at arleighjohnson(at)gmail(dot)com! 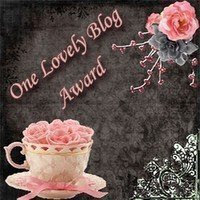 We've not scheduled a 2011 Challenge, but plan to revamp the site soon with more Plaidy fun! We hope everyone has a great 2011 with lots of Jean Plaidy books! It seems Jean Plaidy has surprised me once again! I’ve been wrapped up in a novel by Ciji Ware titled Wicked Company, which features fictional characters for the most part, but also touts a host of real historical figures. One such is the 18th century actor/playwright/theater manager David Garrick, who is also one of my favorite personalities in the novel. He is kind and understanding of Sophie’s struggles and helps her by encouraging and employing her talents at Drury Lane. Reviewing some of Plaidy’s older (mostly unavailable) titles, I found that she published a novel based on David Garrick (1960)! I can’t find a description, unfortunately. I think I will start a petition to get all of JP’s older novels reprinted! It’s very discouraging to find gems like this but no way to order them.